u can play this on the game cube animal crossing. 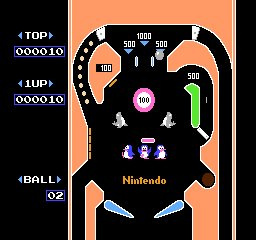 I remember the only reason i played this game was to be Mario. 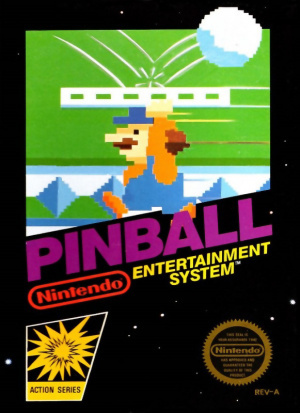 This Pinball title is excellent. Me and my friends always try to top our highscores and that's all about it. 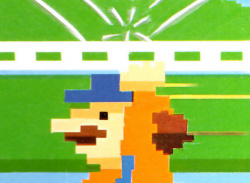 It also didn't aged much, like all of the other 1st generation NES titles. The graphics are nice and the control is tight. We played it for months. I like this game. 4 Stars. This game is...decent. Sonic Spinball is a much better choice. I won't get it because it's not very deep and I already have it for my old e-Reader. 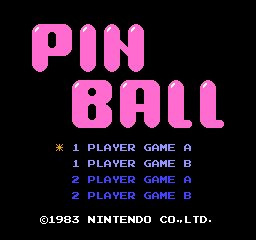 pinball has never really translated well onto the home console. The princesses Mushroom, Toadstool and Peach are the same person; Pauline, Daisy and Rosalina are three separate people for a total of four? 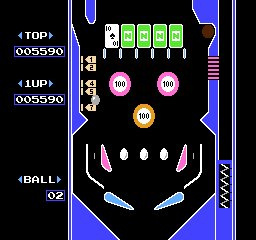 I think this provides a decent game of pinball. No more, no less. Of course, it does lack the experience of playing on a real pinball table, but at least once you've bought it you don't have to keep feeding it coins! 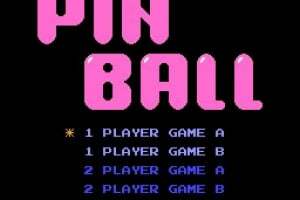 Takes a li'l getting used to, if your used to more advanced video game pinball games, but it is possible to master this game, and play it for a long time getting really high scores, once you get the hang of it. 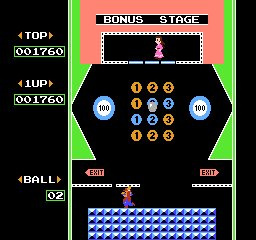 There's no option to "shake" the pinball table, but luckilly there's no way to ever get the ball stuck. The semi-hidden Mario minigame is great to. 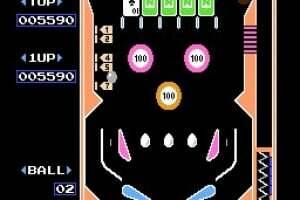 The top table features a slot machine, and the bottom one features flipable cards. 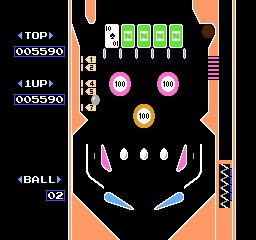 Get a match in the slotmachine, or flip all the cards, (pretty hard to do) and the bottom hole between the flippers will be clogged, so you won't fall down it, and best of all it stays there, until you slip down the sides. So it's very rewarding. It's possiblly the first video game adaption of pinball, (I'm not sure if it's true) but definatelly not the worst. 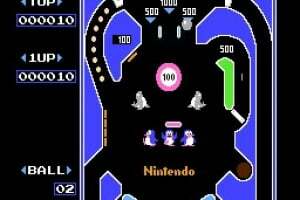 I find it quite enjoyable, though not as much as Kirby's Pinball Land (Gameboy) or Sonic Spinball. 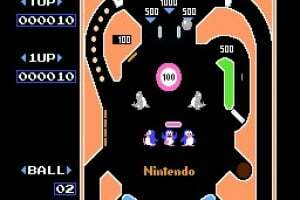 Still it's a nice diversion from those more complex pinball titles. Also the dancing penguins are cute! Fun for a quick pick-up-and-play, but not much for the long haul. If you want something a bit more in-depth try Alien Crush or Devil's Crush. The bonus level is very fun to play.